Game Fire 6 PRO (Windows) Review & 57% Off Coupon - Free Download! Game Fire 6 PRO – Enjoy the best gaming experience without lags or slow down! 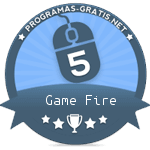 You can purchase Game Fire 6 PRO license key with discount coupon up to 57% Off. Game Fire 6 PRO is a powerful game booster, that enables you to enjoy a smoother and more pleasant gaming experience with a touch of the button by optimizing your computer for peak performance and focusing all system resources on running your favorite games. 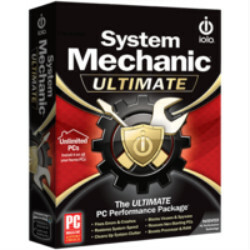 This PC game optimization tool boosts your computer performance by suspending unnecessary Windows features, defragging system memory, optimizing Windows scheduled tasks, turning off unnecessary applications, defragging game files and applying several system tweaks. Besides improving system performance and reliability, Game Fire 6 Pro enhances your gaming experience by enabling you to organize and manage your favorite games whether local or online in one centralized place, where you can manage, launch, defrag and search cheats for your favorite games. What’s new in Game Fire Pro ? The release of Game Fire 6 Pro edition with This major update for the best game booster brings new improved UI and dozens of new features, enhancements and bug fixes. The ability to create game shortcuts and pin games to Taskbar and Start Menu. The ability to add games directly from My Games desktop widget. Added support to Portuguese language for users in Portugal and Brazil. Will continue to support more languages in the upcoming software releases. System Status became System Performance. Games Defragment became Optimize Game Files option in My Games right click menu. System Performance (System Status) has been improved to show more information related to system performance like Disk IO usage, network usage and system fan Speed. Game Fire notifications and various UI components were greatly improved and discovered bugs were fixed. Game Fire license manager received enhancements and bug fixes, for example When an error occurs it will show more detailed messages with potential solutions also a bug causing previous versions of Game Fire to fail loading license when user re-installs Windows has been fixed. Game Fire 6 brings better support to latest releases of Windows 10 including the 64-bit edition. Fixed a bug preventing My Games to load thumbnails of games imported from Game Explorer. Fixed a bug affecting certain Windows versions causing failure to launch online games or any web pages from Game Fire. Fixed a bug causing Game Fire to optimize apps and services which have been already excluded from the optimization process. Game Fire Pro can significantly enhance your gaming experience by boosting system performance and reliability in order to eliminate any in-game lags and improve games FPS (frames per second). This game booster tool optimizes your computer performance by turning off unnecessary system features, applying various system tweaks and focusing computer resources on the game you are playing. The end result would be a great gaming experience with a single mouse click. Unlike other game boosters, Game Fire 6 Pro can boost games and applications performance in real-time allowing them to fully utilize computer resources like CPU and memory and in the same time, it deprioritizes unnecessary and background processes. It also provides real-time system health and performance information like the CPU and GPU temperature, in order to help you optimize PC gaming performance. Game Fire Pro allows experienced users to have control over every aspect of the optimization process by using easy to understand options. 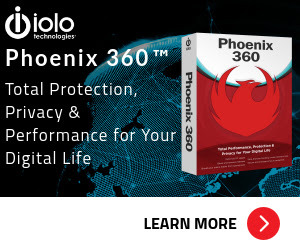 It also provides a wide range of powerful optimization tools that can squeeze every bit of performance out of your computer like a disk defragment utility, settings tweaking tool, applications optimizer and much more. Besides boosting your PC gaming performance, Game Fire enhances your gaming experience by allowing you to organize and manage your favorite games whether local or online in one centralized place that you can reach from anywhere on your computer. It is a safe PC games tweaking solution as no over-clocking is done to your hardware and almost all changes made by Game Fire to your system settings are temporary. Microsoft Windows Vista, 7, 8, 8.1 and 10 including 64-bit versions. Please feel free to download Game Fire 6 for PC here. Game Fire 6 has been tested professionally and we are assured that no viruses, Trojans, adware or malware contained. Game Fire 6 PRO by Smart PC Utilities retails for $19.95 instead of $29.95 But, on our website, The Software Shop, you can save more on your purchase of its license key with our exclusive discount coupon code. This offer is available for a limited time! PC Game Booster - enjoy the maximum gaming performance and better support. Up to 200% Faster Games Performance. Save up to 72% if you buy for 3 PCs. Game Fire 6 PRO Giveaway is unavailable at this moment. Thanks for reading Game Fire 6 PRO Review & Enjoy the discount coupon. Please Report if Game Fire 6 PRO Discount Coupon/Deal/Giveaway has a problem such as expired, broken link, sold out, etc while the deal still exists.